At Porter Novelli London, we have this thing called "Woo Week" the week before Valentines Day. 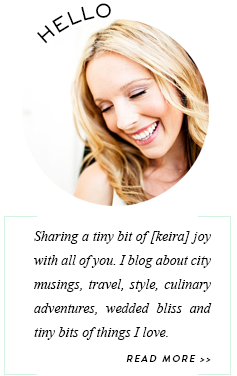 It's almost like a white elephant cupid where you pick someone's name out of a hat and shower them over the week with gifts, treats, quirky gestures. 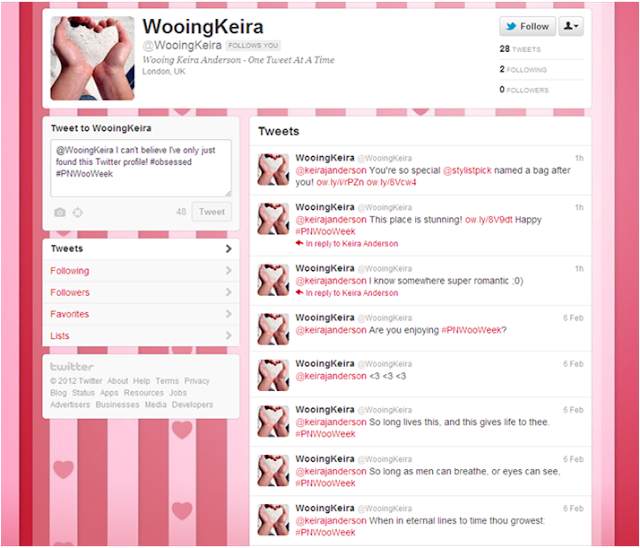 Today I discovered that my secret admirer had created a Twitter page dedicated to wooing me @WooingKeira. I'm so honoured! So far, my wooer has recited poems and songs, recommended hotels and pointed out that there's a purse named after me. I absolutely cannot wait to find out who's behind all this. Definitely gets you in the lovey spirit just in time for Valentines Day!